Finding a new food blog full of amazing vegan (or vegetarian) recipes makes my life planning 3 to 4 vegetarian meals a week a whole lot easier. We are trying to eat half of our dinners without meat so I’ve been spending some time searching for some great recipes. I was happily surprised to find Healthy Blender Recipes. Healthy Blender Recipes is more than just smoothies and things to do with a VitaMix blender. There are some great vegan recipes to try too which brings me to tonight’s dinner and my first recipe attempt from The Blender Girl’s blog. I reduced the original recipe by half, since I only bought 3 sweet potatoes at the Coppell Farmer’s Market yesterday. They were beautiful sweet potatoes from a local farm near Dallas. 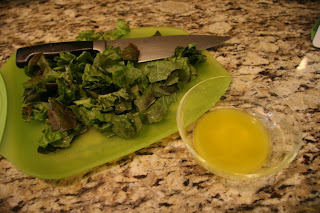 I also had picked up some fresh lettuce at the Farmer’s Market that went well with a simple lemon and oil dressing I’ve been making. Squeeze the lemon, I usually just cut a lemon in 1/3 and extract the juice. Shave the lemon with a lemon zester. 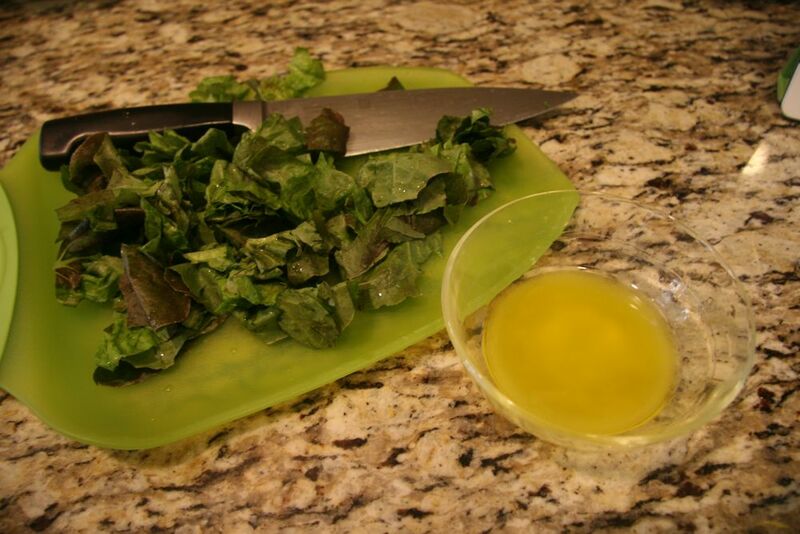 Add about half of the olive oil and mix the dressing with a fork. Add remaining oil and mix. If you want, add a small dash of salt too. Makes enough for 2 small side salads. I reheated some rice and dished out a couple heaping spoonfuls of the vegan sweet potato main dish then added a side of salad.